As parents, you may remember preparing for the sacraments of Confession, First Holy Communion, and Confirmation at school or in a parish group. The celebration of the Sacraments are always joyful occasions as they help to deepen our faith, grow in holiness and become better disciples of the Lord. 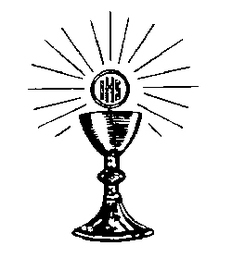 The Sacraments are important for each of us. In order to receive these wonderful gifts we have to spend some time in preparation. The best preparation for receiving any Sacrament is at home, within the family, as you celebrate your faith together. As your child grows and approaches the age when it is time to receive the Sacraments of Reconciliation, Holy Communion and Confirmation, the Catholic Parishes of Worcester will help. 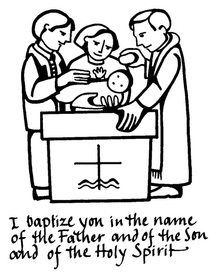 It is important for families to understand the commitment that you, your child and, family make in preparing and celebrating the Sacraments, and in ensuring that the faith is practiced. Preparation for First Reconciliation and First Holy Communion takes place at school through the RE Curriculum when the children begin year 3. There are a number of 'parent sessions' to help families participate in the preparation together. Confirmation preparation also takes place at school through the RE Curriculum for year 6 children. These are accompanied by a number of 'parent sessions' to help families participate in preparation for the celebration of the Sacrament. Preparation for the Sacraments of Reconciliation, First Holy Communion and Confirmation take place at Saturday morning classes in the Parish Hall at St George's. 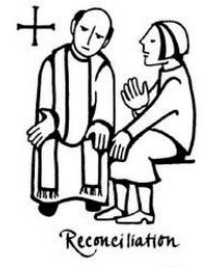 One session is for children entering year 3 for Reconciliation and First Holy Communion. This is followed by a second session for those entering year 6 for Confirmation preparation. There are also a number of 'parent sessions' to help celebrate these important moments as a family. For more information contact the parish office (details at the bottom of this page). For more information contact St Joseph's parish office (details at the bottom of this page).